Thursday, October 25. Details will be forthcoming. LFHC has a pressing need for nurses and physicians. The hospital is seeking pediatric, neonatal and operating room nurses. LFHC is seeking candidates for the full-time positions of Executive Director and Medical Education Director. Further information is available on our website or can be obtained by contacting hr@fwablaos.org. Doctors and nurses working in the Outpatient Department and Emergency Room at LFHC are treating a substantially larger number of children than they did a year ago. Families brought 3,481 children to the hospital in April and May for outpatient treatment. That’s a 52 percent increase in patients from the same two months in 2017. In the ER, where more serious cases are treated, the staff helped 865 children in April and May, a 94-percent increase from the same two months a year ago. 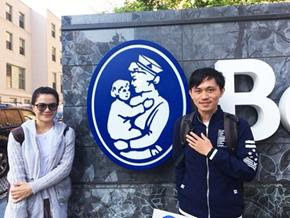 Baby Bang was born in the 27th week of his mother’s pregnancy and was immediately brought to the LFHC’s Neonatal Unit. As a premature baby, weighing a mere 2.4 pounds, he needed continuous positive airway pressure (CPAP) for several weeks to help him breathe. He also needed a nasogastric tube for feeding. 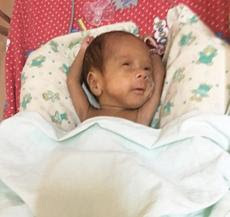 Thanks to the specialized care provided by the doctors and nurses in the Neonatal Unit, Baby Bang is now starting to breastfeed and is slowly gaining weight. The LFHC team has been instructing his mother about the importance of breastfeeding – as they do with the mothers of all infants brought to the Neonatal Unit. The specialized care needed by Baby Bang and other premature infants underscores the importance of our hospital’s Neonatal Unit. Thanks to your donations and support, LFHC is currently expanding the unit to accommodate a growing caseload. Can you outpace a member of the Royal Family in a half marathon? You can have a go at it on October 21 by joining Princess Beatrice of York in Laos for the “Run for Children: Luang Prabang Half Marathon 2018.” Her Royal Highness, one of the granddaughters of Queen Elizabeth II of England, will participate in the race, as well as the activities surrounding the charity run. Proceeds from the half marathon and Gala Dinner benefit the Lao Friends Hospital for Children. Princess Beatrice is a philanthropist who supports charities related to children’s welfare and education. She is also an avid runner and the first in the Royal Family to complete a marathon with friends to raise money for charities. The half marathon takes place in the beautiful UNESCO heritage town of Luang Prabang, Laos. Runners weave through golden temples and past the serene banks of the Mekong and Nam Kham rivers. More than 1,200 from 42 countries participated in last year’s race. Shawn David, project manager at Global Health Services Network, recently returned to LFHC to conduct a second session of leadership training for our future department heads. 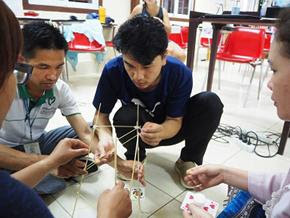 Shawn delivered five days of lectures, team-building exercises and interactive workshops. The sessions are designed to teach individuals how to lead rather than dictate and promote critical thinking within a team framework. She said the staff showed noticeable development throughout the course as they grew in confidence daily, feeling more able to make difficult decisions and improve hospital standards. The training is conducted in an uplifting manner and features lots of games and laughter. Shawn also conducted a three-day refresher course for staff members who attended the initial training last year. Anabella Coria Zavala has joined the staff at LFHC as the hospital’s director of external relations. 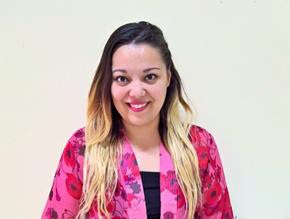 Anabella has worked for non-governmental organizations in Latin America and Asia in projects that focus on children’s rights and women’s empowerment. In her role as director of external relations, she is responsible for fostering relationships with the Lao community and supervising operations of the Friends Gallery in Luang Prabang. She will also play an important role in organizing and promoting the Luang Prabang Half Marathon and the Luang Prabang Gala. Anabella replaces Rie Tai, who left the position in late May to pursue a master’s degree in public health in the U.S.
LFHC doctors Pom Sordaluck and Lakiher Leetongxay recently participated in the Observership Program at Boston Children’s Hospital. They paired with BCH physicians and physician assistants last month in the emergency room, intensive care units and throughout the cardiology department. As a teaching hospital of Harvard Medical School, BCH has more than 1,000 physicians and researchers who are at the forefront of understanding and treating pediatric diseases and disorders. 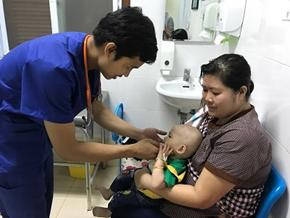 The goal of the Observership Program is to facilitate knowledge transfer from BCH experts to advanced pediatric health care providers based in other countries through an informal, immersive shadowing program. Observers are given access to, the latest information, protocols, and best practices, as well as effective strategies to implement change when they return to their home institutions. Many thanks to BCH for extending this learning opportunity to our staff! And a special thanks to Disty Pearson for being a gracious host to our two doctors in Boston!